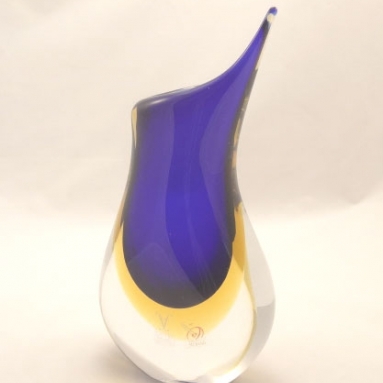 Murano Glass Cobalt Gocce Vase - Murano Glass - Murano Glass Gifts Co. 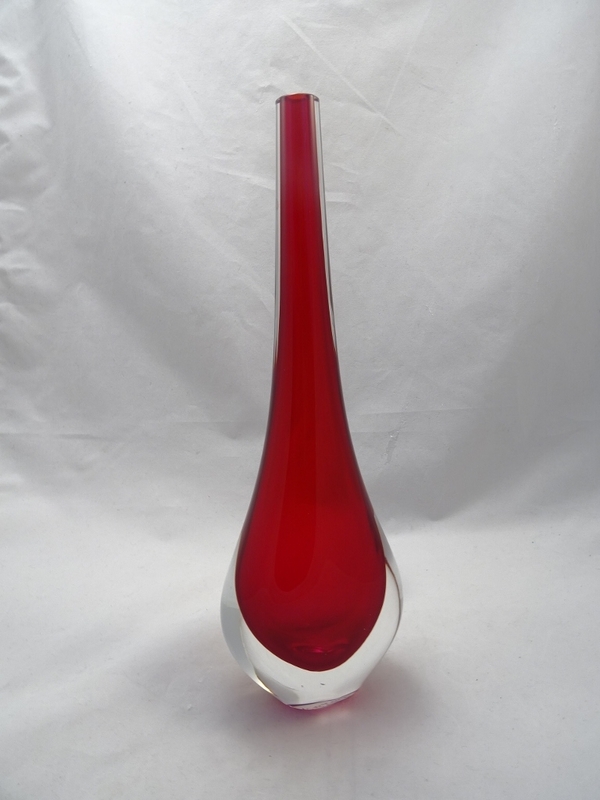 This is a bigger 16 inches height version of Murano Glass Drop Shaped Vase. 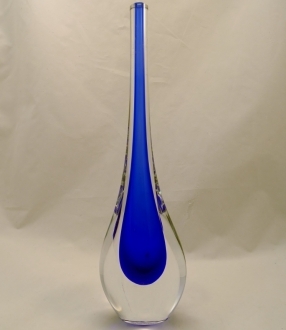 Striking Blue and Clear Crystal color combination. 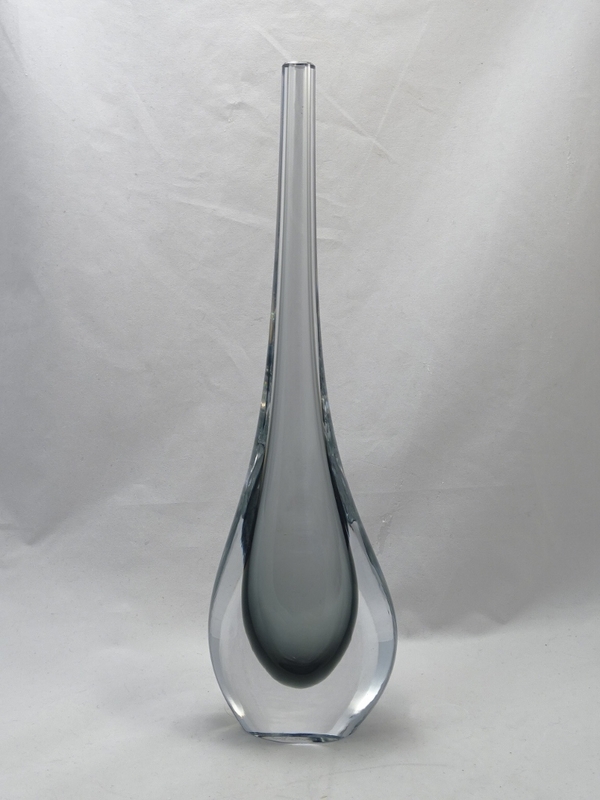 Artistically simple, this minimalist vase is a wonderous and tasteful addition to your home interior. Made of combination of cobalt blue and a crystal clear, this gives asimple design, a hidden venetian twist. Sommerso technique was used to fuse color layers of glass when step by step new layers is being blown, solidified and than dipped into the next colored melted glass layer. Decorated with transitional from a deep cobalt bluecolor on the bottom to a crystal clear on top. What a wonder of glass making!